The Watchmen are a Canadian Rock band. They were most commercially successful in the mid to late 1990s. During their peak years, the band had one platinum record (In the Trees) and three more gold records (McLaren Furnace Room, Silent Radar, and Slomotion). The band has toured Canada a number of times, were the opening act for The Tragically Hip, and co-headlined a national tour with Big Wreck. The Watchmen first came together in Winnipeg, Manitoba in 1988. Founding members were Daniel Greaves, Joey Serlin, Sammy Kohn and Pete Loewen. After performing together for several years, they released an album, McLaren Furnace Room, in 1992. In 1999 the band performed as part of Humble & Fred Fest at Fort York in Toronto. Kohn had left the band when they recorded their 2001 album Slomotion; the percussion tracks were created electronically. A single from the album, "Absolutely Anytime" was in the Top Ten on the Canadian charts for several weeks. While touring to support the album, the band took on drummer Ryan Ahoff. In 2003, the Watchmen announced their farewell tour and their intention to disband. They returned to Winnipeg to perform at a fundraiser for the Israel national bobsleigh team. In 2010, the Watchmen came together for a reunion show at the Horseshoe Tavern in Toronto. They have since continued to perform occasional shows across Canada. The Watchmen are members of the Canadian charity Artists Against Racism. ^ "Go Canada: My list of the greatest Canadian bands to never win a Juno". By Dean Pilling, Calgary Sun, April 01, 2016. ^ "The Watchmen Top Albums/CDs positions". RPM. Retrieved 2011-03-18. ^ "THE WATCHMEN CHART HISTORY". Billboard. Retrieved December 5, 2018. "Stereo": "ariaNET The Chart! 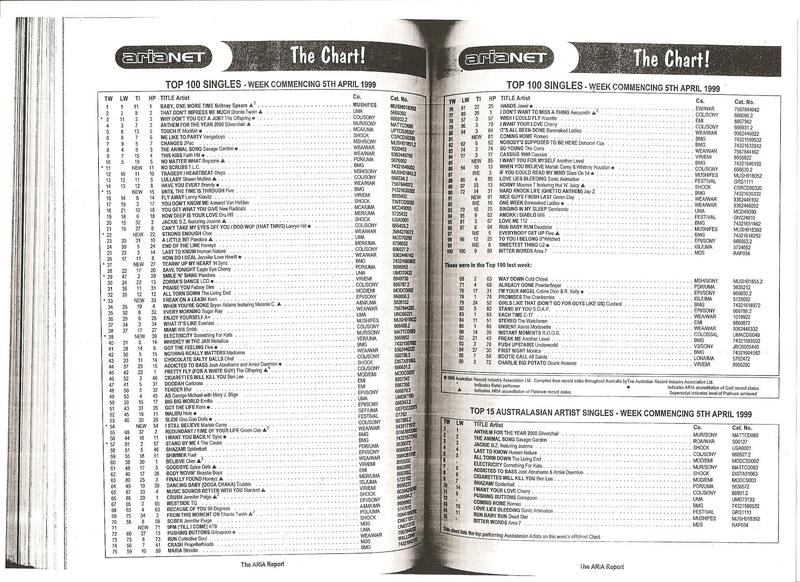 Top 100 Singles – Week Commencing 5th April 1999". Imgur.com (original document published by ARIA). Retrieved 2016-09-13. ^ "Gold/Platinum". Music Canada. Retrieved 2011-08-13. ^ "The Watchmen Top Singles positions". RPM. Retrieved 2011-11-20. ^ "The Watchmen Rock/Alternative positions". RPM. Retrieved 2011-11-20. ^ "The Watchmen Canadian Content positions". RPM. Retrieved 2011-11-20.